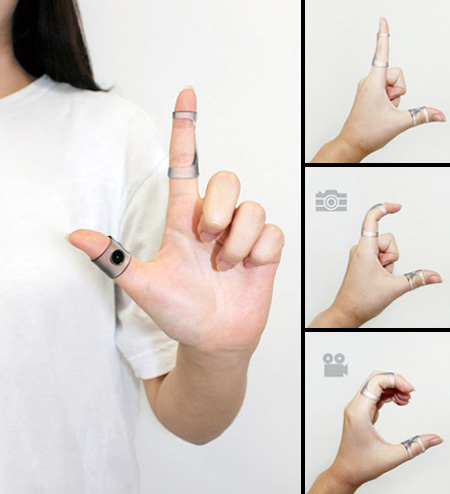 Innovative camera designed by Yeon Su Kim allows people to frame and take real photos with their fingers. 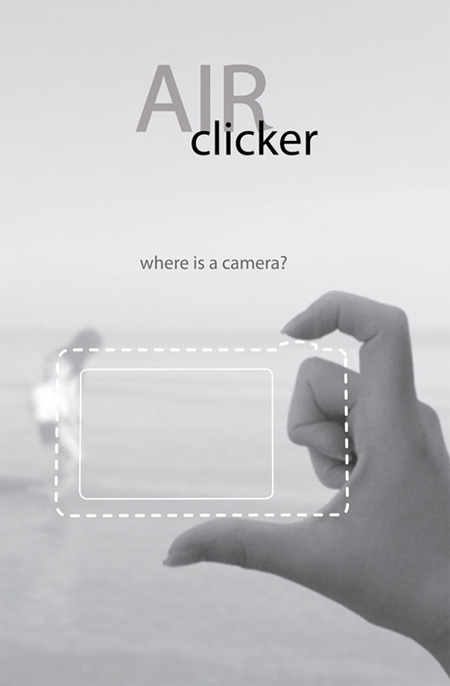 No need for a traditional camera, simply bend you finger to take a picture. Images and videos will be wirelessly transferred to your phone. 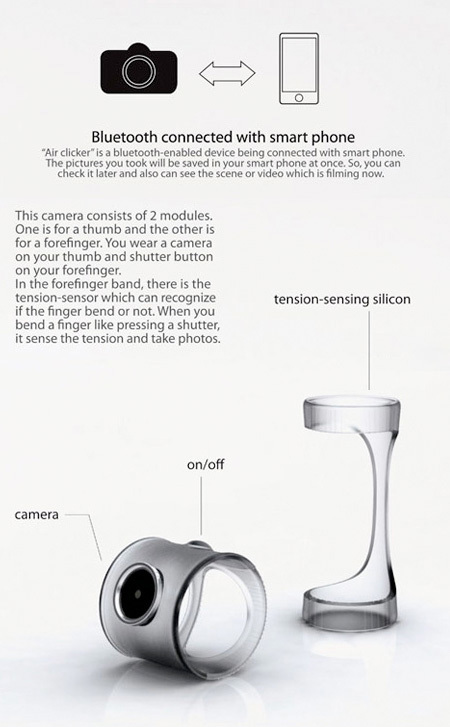 Camera lens, shutter trigger, and Bluetooth are built into two clear rings. how can you properly frame a picture if the camera ring is not fixed and can rotate around your thumb? i agree with jimmy. if it has a small battery, will it be enough for a full day of use? Well, if the idea was to lessen the burden of holding heavy camera or camcoder, why the fuss with camera holding pose and all? why not just do something much natural like making a V with fingers to take photo.